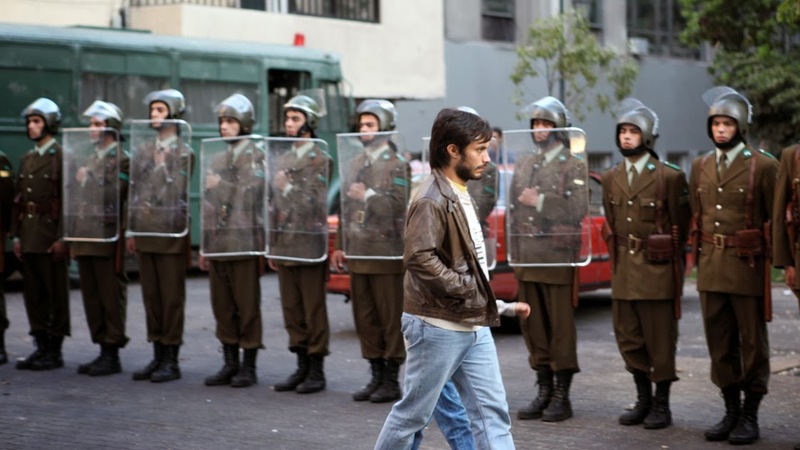 No is a 2012 Chilean drama film directed by Pablo Larraín. The film is based on the unpublished play El Plebiscito, written by Antonio Skármeta. Mexican actor Gael García Bernal plays René, an in-demand advertising man working in Chile in the late 1980s. The historical moment the film captures is when advertising tactics came to be widely used in political campaigns. The campaign in question was the historic 1988 plebiscite of the Chilean citizenry over whether general Augusto Pinochet should have another 8-year term as President. At the 85th Academy Awards the film was nominated for the Best Foreign Language Film Oscar.